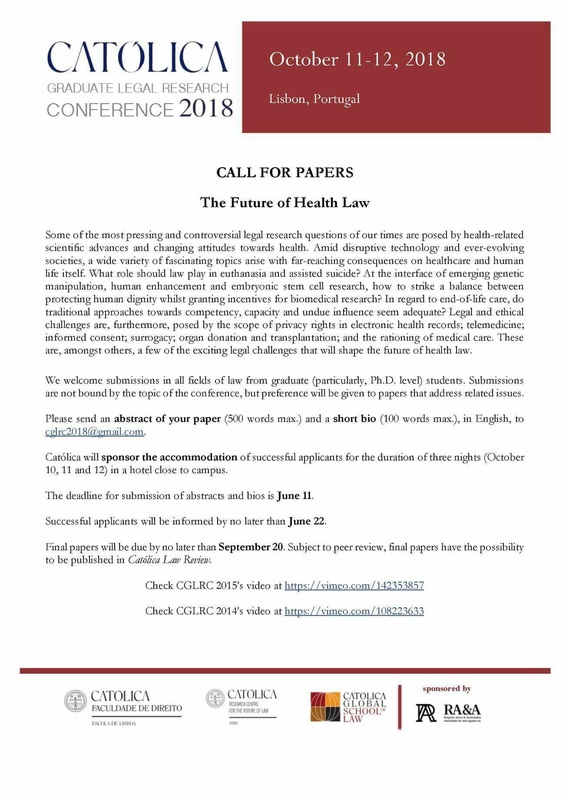 The graduate conference treats the various aspects of the Future of Health Law and welcomes abstracts from graduate law students, PhD candidates in particular, on the changing attitudes towards health because of health-related scientific advances. As the evolution of technology leads to the evolution of societies so do health care and human life itself. Some of the topics to be explored include the role of law in euthanasia and assisted suicide, genetic manipulation and stem cell research, the balance between human dignity and biomedical research, privacy rights in electronic health records, telemedicine, surrogacy, the rationing of medical care, etc. Successful applicants will be offered a sponsored accommodation for three nights (October 10, 11 and 12) in a hotel near campus.